Digital dictation can be a method of recording and editing the spoken word with real-time. The recording is done by the use of a digital recorder. Outsourcing Digital Dictation enables organizations to look at a teamwork system; transcription team members could see how much dictation is usually remaining un-typed along with assist others. 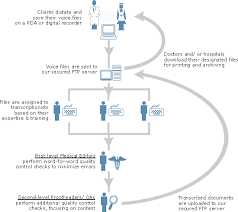 Digital Dictation in addition enabled transcription for being easily outsourced for typing and transcription outsourcing companies, dictation files can be easily transferred over the internet and the tapped out documents returned.